In a crevice on a block wall at Eldoret, Kenya. December 2013. Length is about 12 mm. 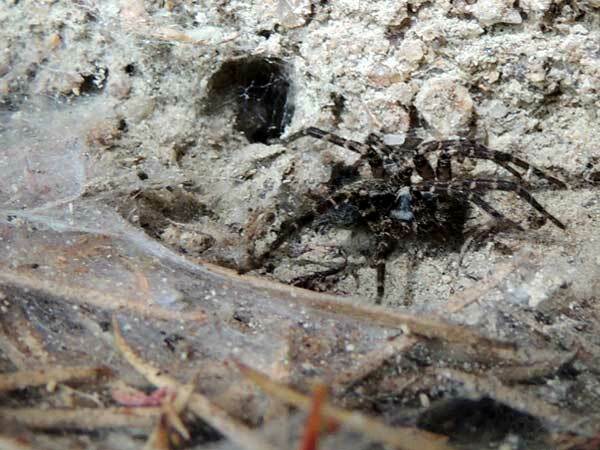 Funnel weaver spiders hide in a silk lined crevice until an insect falls onto it's sheet web. 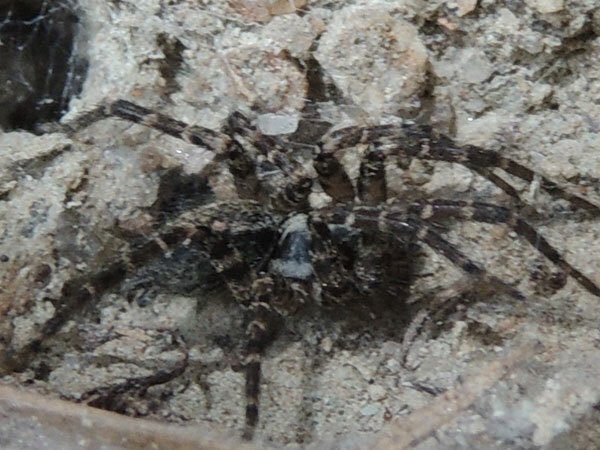 Then it bolts out at a fantastic speed and immediately bites the prey with venomous chelicerae (fangs). The sheet webs extend 10 to 20 cm from the funnel are constructed at night. The species shown here is boldly marked which might be an indication that it is more toxic to birds and other visual predators. Copyright Michael J. Plagens. Page created 4 March 2014.